The holiday season is here, which means it’s a great time to get together with family and friends for some holiday festivities. If you’re hosting a party this year, you know there’s a lot to do. You have to perfect the playlist, organize some fun, festive games and of course, keep the food hot. Luckily, Boca Raton catering can help you with the last one. Know the basics: The first step in planning a catered party is to figure out the basics, such as how long the event will last, the number of guests you’re expecting and your budget. With these numbers in mind, you’ll have an easy time choosing the right caterer to fit your needs. Evaluate your kitchen: Do you have enough open counter space to display the food? If not, you might need to accommodate by setting up an extra table. You might also need to store food in the refrigerator or heat it up in the oven, so be sure to take note of those spaces as well. Make room for drinks: Even if your party is small, it’s important to set up an area for drinks that is out in the open but not in the way of the food. Whether you’ll be serving your guests or having them serve themselves, you’ll want to designate a comfortable area for people to make drinks. Get the extras: Make sure you have enough plates, glasses, silverware, and napkins, as well as any additional tables and chairs if you need them. And be sure to stock up on ice so you don’t run out, because no one likes a room-temperature cocktail. 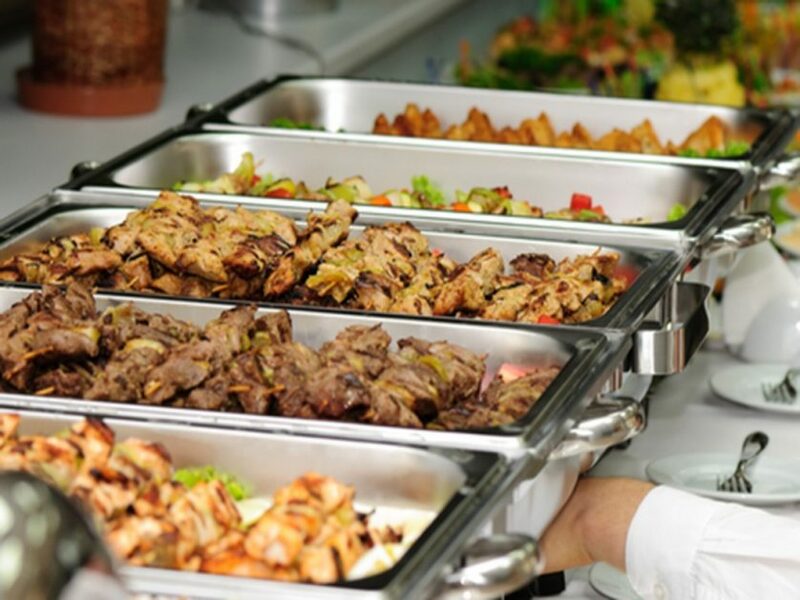 Hire the best catering in Boca Raton: Joseph’s Classic Market can cater delicious food for your party that will get everyone in the holiday spirit. To get more information on our Boca Raton catering services, call us today at (561) 347-2314. For Palm Beach Gardens catering, call (561) 799-0322. Happy holidays!